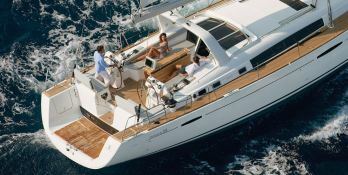 The rental of Oceanis 58 sailboat from Salerno, allows 6 people to travel in all quietude, safety and comfort throughout the Gulf of Naples and the Amalfi coast. Air conditioning on board this boat will allow you to withstand the heat of July and August in southern Italy. 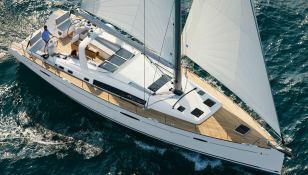 Beneteau's Oceanis 58 sailing yacht hosts up to 6 passengers and its crew comfortably. Sailing in Campania and Salerno, she is fully equipped with air conditioning, equipped galley, generator and also CD for leisure. 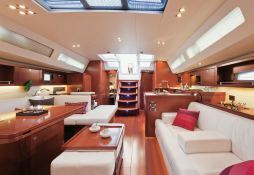 This crewed sailing yacht is available for yacht charter with a base price of 7 000 € (approximatly 7 894 $).